Taipei, Taiwan -- It was after a good lunch and rest when our guide announced that our next stop was a “visit to our silent mentors”. “Who are they and how many are there?” I asked Chad Liu the guide as he took us up the stairs leading to the silent mentors' office. This was part of our visit to the Tzu Chi Buddhist General Hospital in Hualien, Taiwan in early spring this year. Noting that there was not a sound to be heard from inside the room and that it was freezing cold, the visitors cast puzzled glances at him. “Silent mentors are corpses,” he finally explained. The silent mentors are actually cadavers of people who had pledged their bodies to be used in anatomy classes by medical students. Usually unclaimed bodies and mannequins are used for such purposes. “It is a very noble act, and that is why we gave them the title ‘silent mentors’,” he said. In Tzu Chi University, four medical students share a cadaver, and this is made possible by the silent mentors. The ratio in many universities around the world is eight students to one body. “Even the United States has a ratio of between four and six students to one body,” Liu said. “Our lower ratio helps to enhance the quality of our education,” Liu said, before inviting me to join him inside the room to count the number of silent mentors. I sheepishly declined, knowing fullly well that it was not a very journalistic act. Without any hesitation, he strolled into the room and reappeared shortly, saying that there were 32 of them. 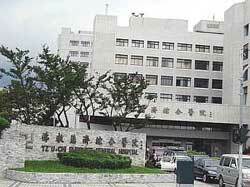 Opened in 1986, The Tzu Chi Buddhist General Hospital is also the teaching hospital for the Tzu Chi University. 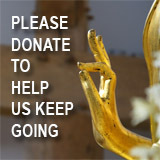 It is among the four hospitals in Taiwan set up by the Tzu Chi Foundation, a charity body founded in 1966 by Master Cheng Yen, a world-renowned Buddhist nun. Liu who is with the foundation's secretarial services department in Hualien, said bu jiang hua de lao xi (silent mentors in Chinese) commanded high respect, recognition and love from their students. My curiosity having somehow got the better of me, I peeped through the door. To my surprise, the room was actually one of two rooms within a larger room. Separated by a passageway, the other room is a mini columbarium with niches (where the urns containing ashes of the deceased are placed ) for the silent mentors who had “completed their mission”. Liu said the families of the silent mentors would be asked to give up some of the ashes in remembrance of their contribution. He said the medical students also become part of their silent mentor's family, inviting them to attend their graduation ceremony and visiting each other during festive seasons. Asked how the grieving families of the silent mentors felt about the delayed burial, Liu said they felt it was a noble act fulfilling the wishes of their loved ones.